In 3 1/2- to 4-quart slow cooker, place potatoes. In small bowl, mix fennel seed, oregano, paprika, garlic powder, salt and pepper. Rub into pork roast. Place pork on potatoes. Pour broth over pork and potatoes. Remove pork and cut pork into slices. Serve with potatoes. 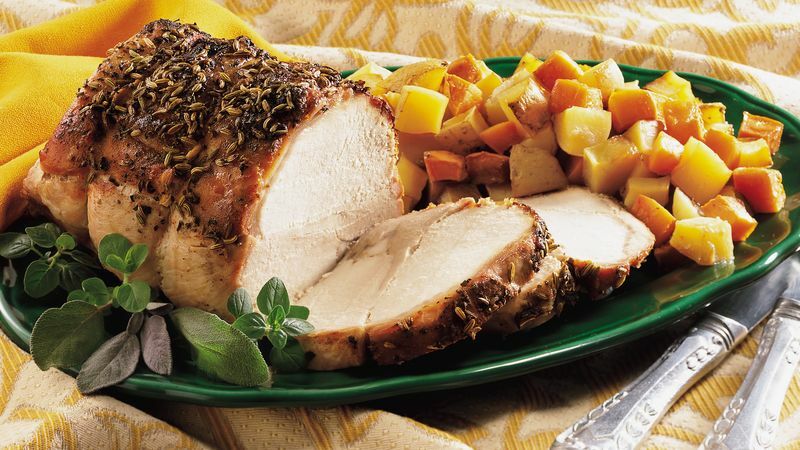 Rubbing the pork roast with the seasoning mixture the night before and refrigerating it does double duty. It saves time in the morning and it allows the seasonings to flavor the pork.